Yes, dogs can eat oranges in small quantities. In fact, there are a lot of fruits that dogs can eat including bananas, strawberries, apples, and many more. Generally speaking, fresh fruit is a great source of vitamin C and can provided added fiber to your dog’s diet. Don’t overdo it, however. Oranges, for example, contain high amounts of citric acid which can cause an upset tummy. Start with a slice or two and see how your dog responds. This post may contain affiliate links and cookies. Bananas are a great source of potassium which aids in kidney and heart function. Even though they don’t taste as sweet as other types of fruit, bananas are actually very high in sugar. Offer sparingly to overweight dogs, or dogs with conditions like diabetes. USEFUL TIP! Having trouble getting your dog to take his medicine? Break off a piece of banana and stuff the pill inside. It’s healthier than hiding pills in high-calorie treats and a good way to ensure your dog is taking his/her medication. If your dog is too smart to fool, try smearing a little peanut butter on the banana. It’s hard for dogs to turn down peanut butter. The stickiness triggers the lick-and-swallow reflexes making it nearly impossible for your dog to separate pill from food. Feeding your dog apple slices may help keep his/her teeth clean (although it’s not a substitute for professional dental care). Apples are a great source of fiber and are a good snack alternative to pre-packaged dog treats. As tempting as it is, don’t let your dog run off with the entire apple. The tough core could be a choking hazard for some dogs. Personally, I feed my dog apple slices with the skin still on and they have never had a problem. RULE OF THUMB: If you wouldn’t eat it, don’t feed it to your dog. Blueberries contain antioxidants which are thought to improve a dog’s immune system functioning. In addition, blueberries are a great source of fiber, and vitamin C.
Keep in mind that some dogs won’t touch blueberries. In fact, not all dogs are going to like all types of fruit. Just like you or I, dogs have different tastes and nutritional needs. Strawberries are a nutritious snack idea for your dog. If you have a particularly small dog, you might want to mash up a few strawberries to add to their food dish. Likewise, you can cut them up into smaller pieces to have available as treats. It’s safe to feed dogs cantaloupe, as long as you remove the skin and pit first. I recommended cutting it into bite-sized chunks or mashing the fruit into a small bowl. You could also add it to your dog’s food dish. The key is to take it slowly until you know how your dog’s tummy handles it. Raw potatoes have a natural chemical composition that is toxic to dogs. In extreme quantities, the substance would affect people as well. The substance in question is called solanine. This acts as a defense to keep insects away from the potato. Unfortunately, it can cause symptoms that look like food poisoning in dogs. That said, if your dog happens to swallow a small piece of potato that was dropped on the floor there’s no reason to panic. A smaller dog may have an upset tummy or may even vomit. The idea is not to regularly feed your dog raw potato or raw potato skin. Onion toxicity is one good reason not to feed your dog table scraps. Cooked and raw onions can cause red cell damage in dogs and when you think about it, onions are in a large variety of foods. Home-cooked meals often contain onions (or onion powder) and it’s easy to forget that when you decide to “share” with your furry friend. The best option is to avoid feeding table scraps. That way, you practically eliminate the chance of onion toxicosis in your dog. You probably already knew that grapes and raisins are toxic to dogs, and scientists are not exactly sure why. The reality is that not all dogs will become sick from ingesting grapes and raisins. Other dogs, however, can develop renal failure within 72 hours of eating one or the other. According to a report written in the Merck Veterinary Manual by Sharon M. Gwaltney-Brant, DVM, PhD, DABVT, DABT, University of Illinois, “Affected dogs develop anuric renal failure within 72 hours of ingestion of grapes or raisins.” She goes on to state that as few as 4 or 5 grapes contributed to the death of an 18 pound dog. The list above is just a small sample of food that can be toxic to dogs. For more information on grape toxicity in dogs, read: Raisins and Grapes. When it comes to human food and dogs, there’s not always a straightforward answer. For example, most dogs can eat oranges, but that’s not true of every day. Experts recommend only feeding oranges to dogs with no underlying health concerns. Oranges (like most fruit) are high in fructose (a naturally occurring sugar). While fructose may not be a problem for most dogs, it could have an impact on diabetic dogs. Following a diabetic friendly diet to your dogs is one of the top most important things you can do to build diabetic dog life expectancy. Remember, as a diabetic, your dog cannot metabolize certain foods the same way that we do. Read this post on Feeding Your Canine Athlete, published by Cornell University. Let the Veterinarian Have Final Say on Your Dog’s Diet! No article or post online can tell you exactly what or how to feed your dog. Ask your veterinarian, “Can dogs eat oranges?” and he/she will probably say yes, in reasonable quantities. Some of the foods listed above are specifically bad for dogs with diabetes. Others, like grapes and chocolate, are toxic to all dogs. Watch this short youtube video! 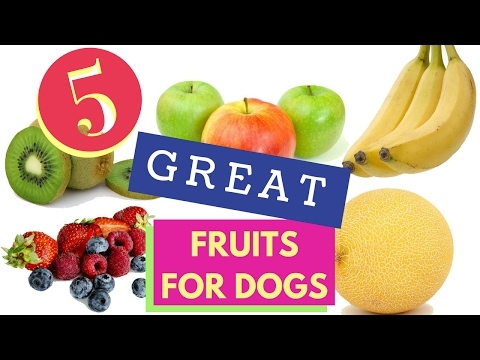 It gives you fast examples of top fruits for dogs. There is some concern that overfeeding fresh fruit like oranges to dogs could contribute to weight gain. I’m not a veterinarian or a dietician, but in my opinion…feeding your dog a few slices of oranges now and then isn’t going to be a problem, especially if you substitute the orange segments for pre-packaged dog treats. That’s assuming your dog is a healthy with no underlying disease. On the other hand, if you are adding food to an already high-calorie, treat-laden diet, then yes – weight gain is possible. Have you looked at the calories on a bag of processed dog treats? In addition to the added calories, there are countless ingredients including sodium that can be harmful to the overall health of your dog. In my mind, substituting those high-cal treats with fresh fruit or even dried sweet potato slices has to be a better option. According to veterinarians at Banfield Animal Hospital, a dog’s caloric intake should only include 10% treats (and that includes oranges). It is recommended that dogs receive 30 calories per pound of body weight. Of course, slight variations exist based on the size and activity level of the dog, the time of year, and whether the dog is a puppy or an adult. **Always check with your veterinarian for your dog’s precise caloric needs. Activity level, dog’s physical health, and other factors can impact how much a dog should eat to avoid weight gain. Wondering what else your dog can or can’t eat? Check out my post on 32 Poisonous Plants You Should Know About. An average orange contains about 47 calories in addition to fiber and vitamin C. Plus, oranges are almost 90% water! Grab that bag of dog treats out of the cupboard and have a look at the stuff in those things. To be honest, I wish I had taken a closer look before. Oranges would have been a better choice from day one, not the heavily processed treats with questionable nutritional value. It’s recommended that you don’t let your dog drink orange juice for a few reasons including the calorie content (high in natural sugars) and the citrus acid, which is toxic to dogs in high doses. At the end of the day, we all want happy and healthy dogs. Not only do WE need to know what we can and can’t give our dogs, it’s important to also tell others. Let guests politely no that table-scraps are a no-no. Let doggy day camp attendants and dog walkers know what your dog can and cannot eat. Oranges, just like many other fruits and vegetables, are safe for dogs most of the time. However, if your dog is an exception to the rule, make sure to speak up. Comments? Questions? Please feel free to contact me directly at: [email protected] or complete the form below. I want to thank you for taking the time to read this post and I hope you found it useful.